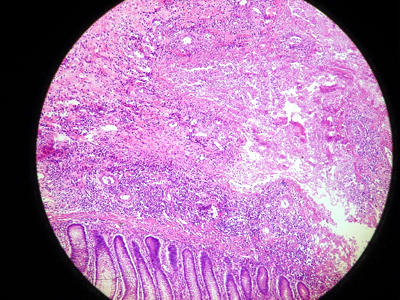 Amebic appendicitis in human. H&E, X400. 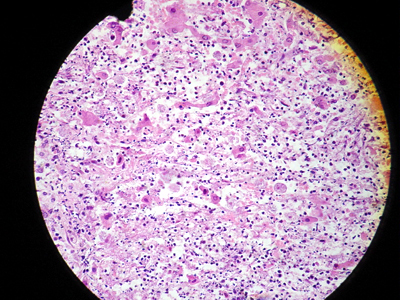 Amebic liver abscess in human. H&E, X100. 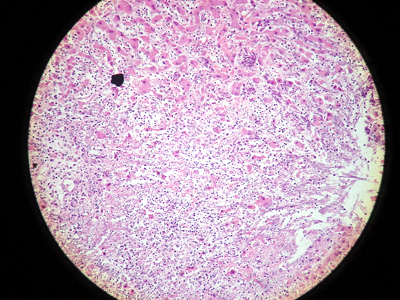 Amebic liver abscess in human. 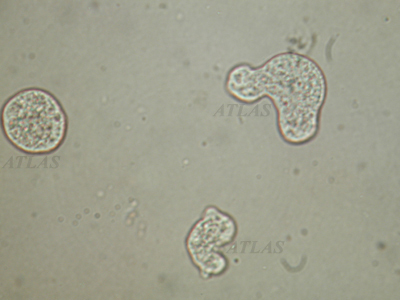 Trophozoites of Entamoeba histolytica are well observed. H&E, X400. Amebic colon abscess in human. H&E, X40. 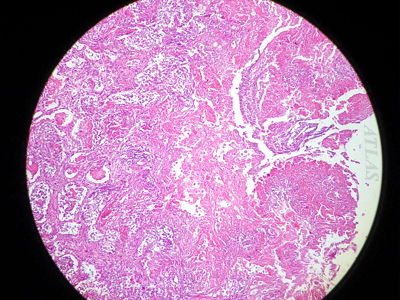 Amebic colon abscess in human. H&E, X100. Amebic colon abscess in human. 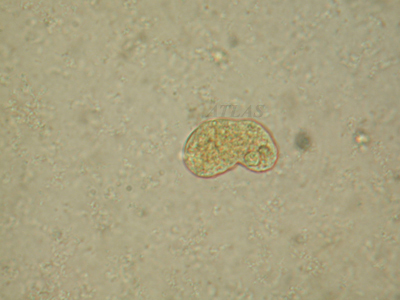 Trophozoites of Entamoeba histolytica can be distinguished from necrotic tissues. H&E, X400. 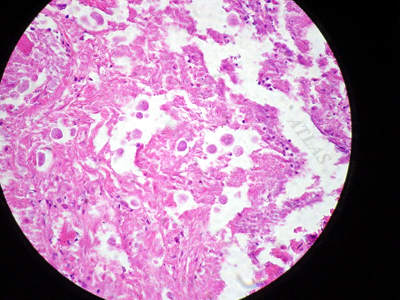 Amebic lung abscess in human. H&E, X100. 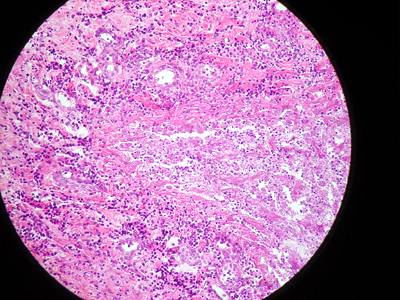 Amebic lung abscess in human. 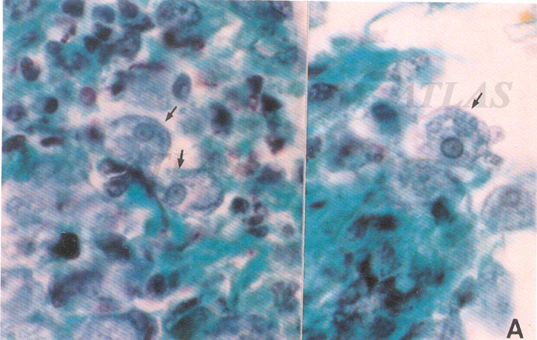 Trophozoites of Entamoeba histolytica are well observed in necrotic tissues. H&E, X400. 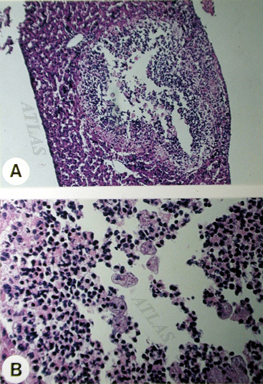 Experimental liver abscess formation following intraperitoneal injection of Korean strain (YS-27) of Entamoeba histolytica in a Mongolian gerbil. 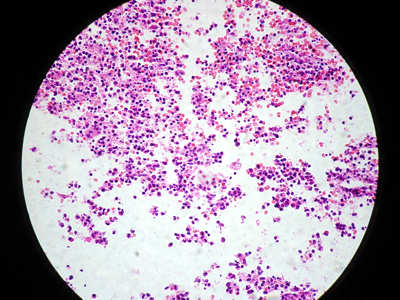 (B) An magnified view of necrotic region. 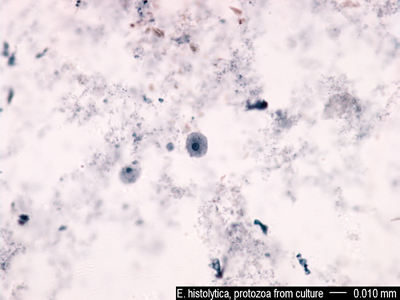 Note the presence of Entamoeba histolytica trophozoites. 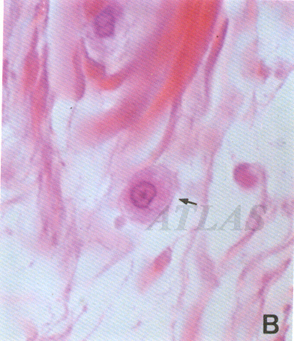 Entamoeba histolytica in intestine, Trichrome stain(A). 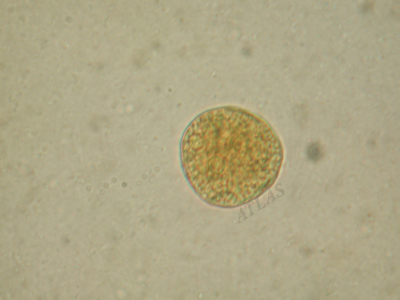 Trophozoite of Entamoeba histolytica in intestine. 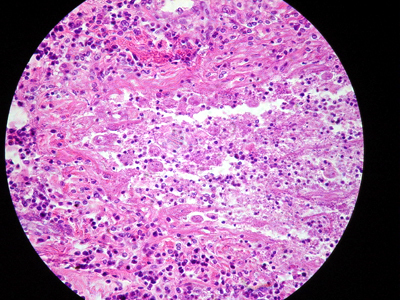 Nuclei with typical central karyosome are visible (H&E, 1000x).